The Olympic Experience at the Richmond Olympic Oval is open Thursday to Sunday with extended days of operation during school breaks. It is open on all holiday Mondays. Hours of operation are 10am to 5pm. Tickets for same day entry are sold until 4:20pm (or 40 minutes before closing), entry into Level 3 exhibits will end at 4:45pm. The feature film, Pursuit of a Dream, plays every 15 minutes starting at 10:00am and the last showing is 4:15pm. The film is approximately 9 minutes long and it is recommended to be viewed at the start of your visit. The theatre is located on Level 1. Check our special notices below for anything that may affect your visit. Racecar simulator requires riders to be a minimum of 60-inches or 5-feet tall. The kayak simulator is currently out of order. We apologize for any inconvenience. Schools and groups may still attend Tuesday-Sunday by booking at least 2 weeks in advance. School breaks have extra days of operation. March 18-31 the museum will be open every day 10am-5pm. 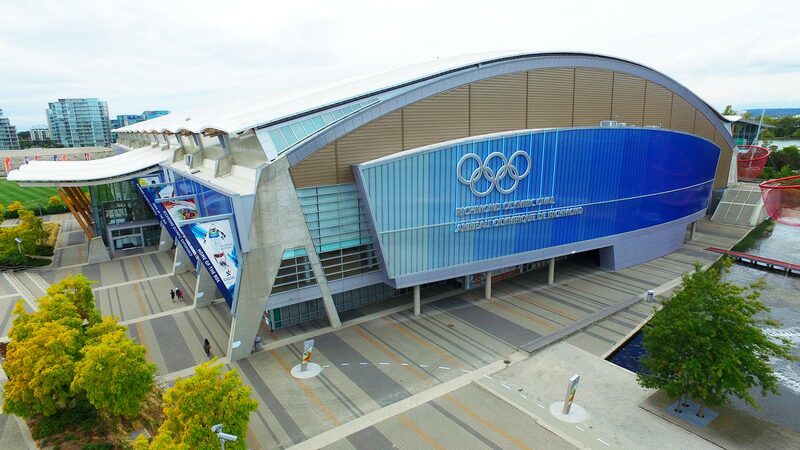 Within the Olympic Oval the museum is located near the ice rinks, and the air temperature is therefore cold. Pants and sweater/jacket are recommended. There are many alternatives for finding your way here to the Olympic Experience at the Richmond Olympic Oval. For your convenience, the C94 Community Shuttle Bus will bring you from the Canada Line Brighouse Station right to the Oval’s front door. Canada Line Rapid Transit can take visitors to and from downtown Vancouver in approximately 20 minutes. To help plan your trip and obtain detailed route information, please use the Translink Trip Planner. We are only a few minutes away from the Landsdowne Canada Line Rapid Transit and downtown Richmond. If you are biking, be sure to lock your bike. Bike racks are available on site. Covered pay parking is available on site. Parkade maximum vehicle height is 6’8”. If the parking lot is full, there are several options nearby. Please download our Alternative Parking Map for your reference. Parking is $1.00 per hour or $10/day. Parking stations accept coins, Visa and MasterCard.